14/May/2015 Posted By Atul no comments. 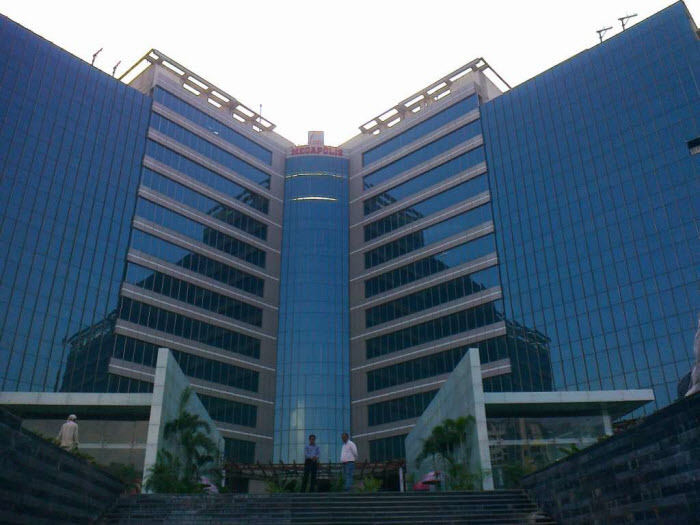 We are very excited to announce that we have moved to a new office, in Gurgaon. We spent the last year in previous office about a mile away from our new office location. Old office served us well and we have some great memories there. The new office of ours is at roadside in Gurgaon, putting us right on the street and looking out onto one of the Gurgaon’s main highway. 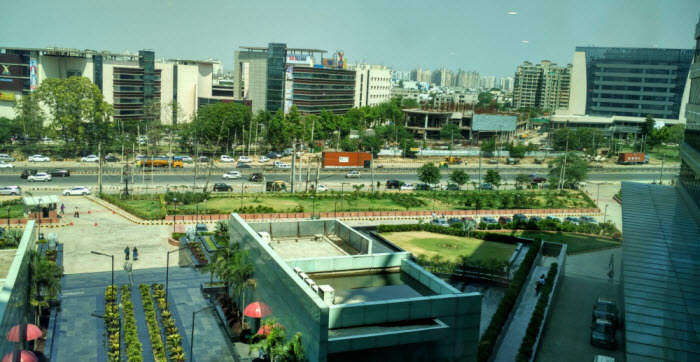 Here is the snap taken by Atul that shows the street view from office. We're excited about the views from office and all flurry happening outside our windows. We are also excited about the great restaurants we have within walking distance of the new location. Hun, it makes me hungry. Location: A mile can make difference. Our last office was a mile away from the main highway so we had quite conveyance issue to reach office. Still had some great restaurants within building premises. On the other side the new office is just right on the highway, makes conveyance issue solved. It also offers us many of the great restaurants and coffee shops within immediate walking distance. Space: When we moved to our previous office, we had a team of 20 people while had plenty space to walk here and there. As the company grown with the time our team increased. When we left that office, there were 40+ BluePi’ans and space was getting tight. The new office offered us more space and allowed us to walk and think. We layout it from the scratch and reorganized placement of our team to better fit. Overall, we now have a space that allow us to grow more in terms of team size and business. Visibility: In our previous office we were on 6th floor of erection while having not many neighbors. There was not so many companies in that building to communicate with that used to make us hard to feel that we existed. Our new office location right in Gurgaon highway will help boost our visibility in the area and help us more quickly come to mind as a rising organization. Thanks for everyone who supported us through the years and encouraged us to move on. We are very excited about this new chapter in history of BluePi.